Sometimes, when decorating a room, we are always thinking of a color that can refresh the look of our interior. That is why research is the common thing most of us doing. 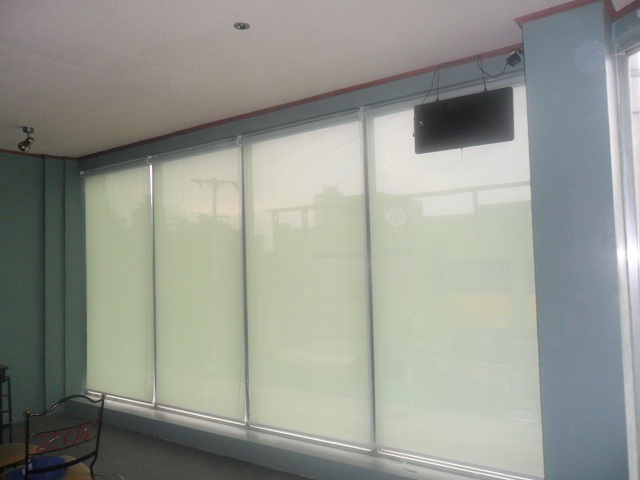 Our client from Timog South Triangle, Quezon City, Philippines opted for a green color of Roller Shades for her resto-bar’s glass wall. Green colors can add a refreshing look and life and can bring nature’s feel into your room. Resto-bars in the Philippines are becoming popular. It is the place where patrons gathered to eat and drink. Some have live concerts and a dancing area. Resto-bars are commonly found in cities that’s why assuring its stylish, unique and comfortable ambiance is necessary to attract customers. 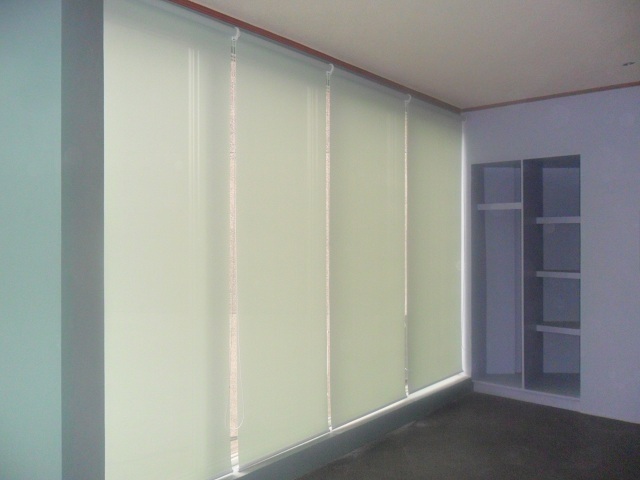 For an attractive look outside, you can put sunscreen material of Roller Shades for your glass wall. It can penetrate your beautiful lightings and create an eye-catching effect. If you are planning to put some attractive interior especially for your windows and glass walls, have stylishly chic window treatment from DS Windows and Walls. We have different types of blinds with various styles and colors that will surely match your theme. If you are along Makati, Taguig, Pasay, Manila, and nearby areas, our nearest branch that will be accessible for you is at 4th level Waltermant Makati which is one to two rides away from you. For Marikina, Pasig, Rizal provinces, and nearby, we have branch located at 3rd level Robinsons Metro East, Pasig City and 2nd level Pacific Mall, Lucena City for Quezon Province areas. 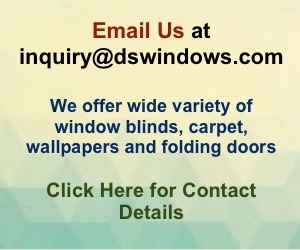 You may call us at (02) 403-3262 or (02) 893- 1373 or email us at inquiry@dswindows.com for more information.